The U.S. federal government designates historic districts through the United States Department of Interior under the auspices of the National Park Service. Federally designated historic districts are listed on the National Register of Historic Places, but listing imposes no restrictions on what property owners may do with a designated property. State-level historic districts may follow similar criteria (no restrictions) or may require adherence to certain historic rehabilitation standards. Local historic district designation offers, by far, the most legal protection for historic properties because most land use decisions are made at the local level. Local districts are generally administered by the county or municipal government. The first U.S. historic district was established in Charleston, South Carolina in 1931, predating the U.S. federal government designation by more than three decades. Charleston city government designated an “Old and Historic District” by local ordinance and created a board of architectural review to oversee it. New Orleans followed in 1937, establishing the Vieux Carré Commission and authorizing it to act to maintain the historic character of the city's French Quarter. Other localities picked up on the concept, with the city of Philadelphia enacting its historic preservation ordinance in 1955. The regulatory authority of local commissions and historic districts has been consistently upheld as a legitimate use of government police power, most notably in Penn Central Transportation Co. v. City of New York (1978). The Supreme Court case validated the protection of historic resources as “an entirely permissible governmental goal.” In 1966 the federal government created the National Register of Historic Places, soon after a report from the U.S. Conference of Mayors had stated Americans suffered from "rootlessness." 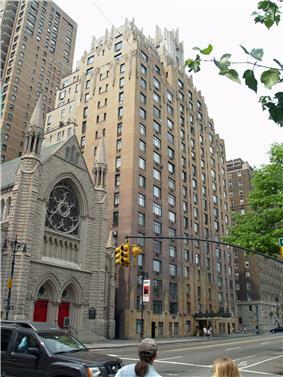 By the 1980s there were thousands of federally designated historic districts. Some states, such as Arizona, have passed referendums defending property rights that have stopped private property being designated historic without the property owner's consent or compensation for the historic overlay 207. "a geographically definable area, urban or rural, possessing a significant concentration, linkage, or continuity of sites, buildings, structures, or objects united by past events or aesthetically by plan or physical development. A district may also comprise individual elements separated geographically but linked by association or history." ^ a b c "History of Local Historic Districts". Establishing Local Historic Districts. Massachusetts Historical Commission. 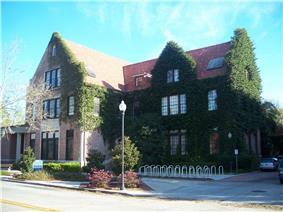 ^ National Register Historic Districts Q&A, South Carolina Department of Archives and History. Retrieved February 19, 2007. ^ a b c Early Models, Working on the Past in Local Historic Districts, National Park Service. Retrieved February 20, 2007. ^ Donovan D. Rypkema, “The (Economic) Value of National Register Listing,” CRM, 2002, Vol. 25. No. 1. ^ "Davis-Jefferson Historic District," Bloomington Historic Preservation Commission, City of Bloomington. Retrieved April 4, 2007. 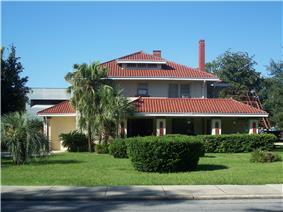 The issue of local historic districts and the impact on property values is a concern to many homeowners. The effects have been extensively studied using multiple methodologies including before-and-after analysis and evaluating comparable neighborhoods with and without local designation status. Recent factual analysis has been conducted by independent researchers in a number of states, including New Jersey, Texas, Indiana, Georgia, Colorado, Maryland, North and South Carolina, Kentucky, Virginia, and elsewhere. As stated by economist Donovan Rypkema, "the results of these studies are remarkably consistent: property values in local historic districts appreciate significantly faster than the market as a whole in the vast majority of case and appreciate at rates equivalent to the market in the worst case. 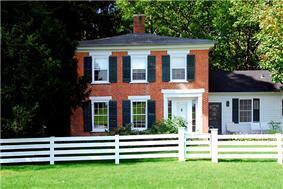 Simply put – historic districts enhance property values." 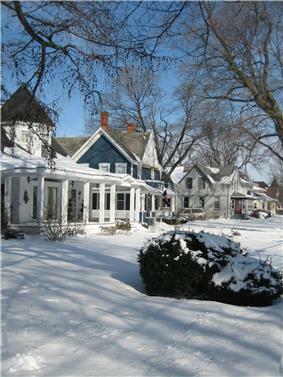 In a 2011 study Connecticut Local Historic Districts and Property Values, it was found that “property values in every local historic district saw average increases in value ranging from 4% to over 19% per year.”  Similarly, in New York City between 1980-2000, local historic district properties on a price per square foot basis increased in value significantly more than non-designated properties. Equally important, local historic district property values were found to resist market downturns better than historic non-designated properties. A recent study investigating the data on single-family residential mortgage foreclosures and comparable non-designated neighborhoods found that designated properties were significantly less likely to experience foreclosure. Local historic district designation has proven to protect property values from wild fluctuations and provides stability in the housing market.